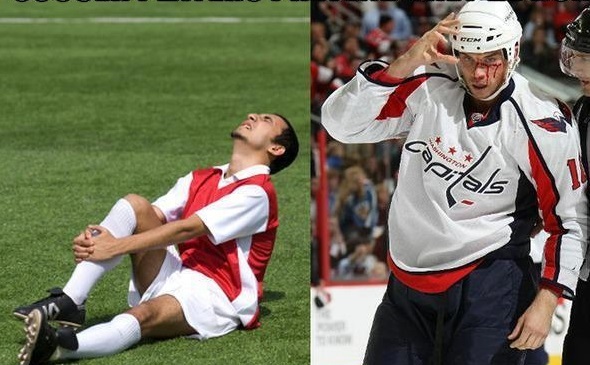 The "Culture of Hockey" - Good or Bad for the Sport? 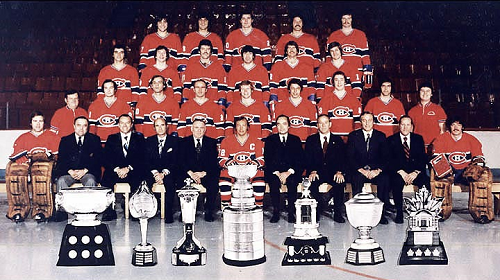 Home/Featured/The “Culture of Hockey” – Good or Bad for the Sport? Mere mortals don’t understand how these men do it. The stories are incredible, borderline legendary. Bobby Baun – 1964, Baun broke his ankle early in Game 6 of the Stanley Cup Finals with his Toronto Maple Leafs down 3-2 in the series. The game went into OT, and Baun came back and scored the game winner to push the series to Game 7, where the Leafs would ultimately win. Trevor Linden – 1994, led the Vancouver Canucks to Game 7 of the Stanley Cup Finals, all while playing with broken ribs and torn cartilage. 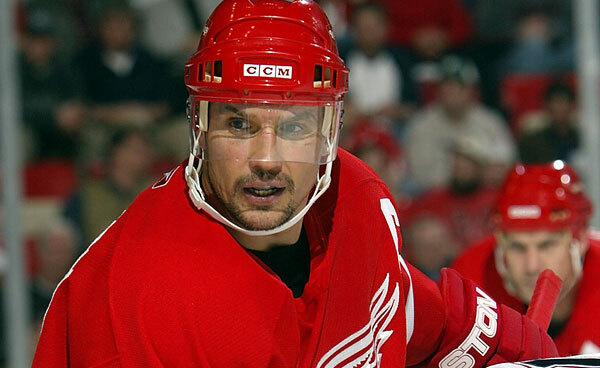 Steve Yzerman – 2002, led the Detroit Red Wings to the Stanley Cup, despite playing on a severely damaged right knee. Nicklas Lidstrom – 2009, led the Red Wings to Game 7 of the Stanley Cup Finals despite rupturing a testicle. And now this year, we saw Alex Ovechkin play through a stress fracture in his foot and Patrice Bergeron play through broken ribs, a punctured lung, torn rib cartilage, and a separated shoulder. The fans love it. The teammates of these injured players admire them for their incredible perseverance. This is known as the “culture of hockey” and no player is excused from it. You play through your injuries, you give 110%, and ultimately, there are no excuses. In reality, is this really safe for the players? We’ve had a lot of discussions the past few years about concussion safety, visors, and the role of fighting, but the one thing that is overlooked far too often is the “culture of hockey”. There is no question about it; if you can move, you will play. But at what price do these players play down the road? Yzerman’s knee was so damaged that he underwent a surgery that involved sawing through one of his leg bones and bending it slightly to change the way his knee handled his body weight. It was a surgery that had never been attempted on a professional athlete and he missed the first 66 games of the following season. Patrice Bergeron has been in the hospital since the end of Game 6 dealing with his injuries. Guys like Marc Savard, Eric Lindros, Keith Primeau, and now potentially Sidney Crosby have seen their careers either ruined or altered due to rushing back from concussions. The ability to walk easily has been altered for guys like Yzerman, Bobby Orr, Pavel Bure, and Cam Neely after they rushed back or just kept playing on serious knee injuries. 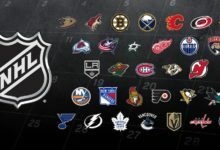 We’ve seen guys like Derek Boogaard, Rick Rypien, and Wade Belak have all died in recent years, likely due to head injuries they suffered during their NHL career. This is the ugly side of the “culture of hockey”. Before we get going too far, I just want to make something clear. I am NOT advocating for the culture of hockey to change in any way. I’m not advocating for all players to wear visors or anything like that. Ultimately the choice to play this beautiful but dangerous game is the choice of the players. What I do want is to make players and fans aware of what can happen down the road and to make sure that players are keeping their futures in mind when they make decisions to fight through injuries. So what do we think? Obviously this “culture” has long-term ramifications for these players but it just so happens that the “culture” is what makes this game so damn appealing. Is there anything we can do about this? Perhaps a better question is whether or not we should do anything about this? Should players be encouraged to take the full amount of rehab time in order to recover 100% or should we continue to push this “culture” and win-now philosophy? I mean hell, when Erik Karlsson tore his Achilles’ tendon earlier this year, doctors originally projected that he would miss about 6 months. He freakin’ tore 70% of his Achilles’ tendon! 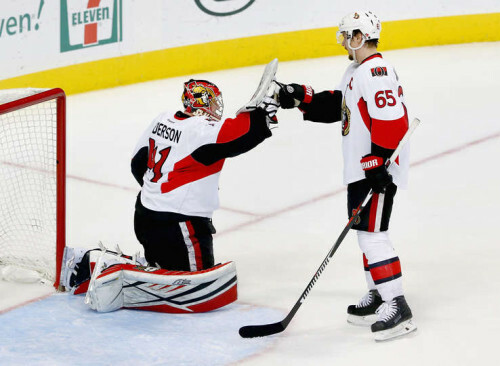 Instead, Karlsson missed just 10 weeks as he returned to help his Ottawa Senators advance to the 2nd round of the Stanley Cup Playoffs. Was this the right decision? Only time will tell. Being in the medical field myself, I have a good bit of knowledge on sports medicine injuries and I can tell you upfront that if an Achilles’ tendon does not heal fully, you are at an increased risk to have it rupture again. With the knee injuries, as the cartilage continues to wear down, your femur (upper thigh bone) comes in contact with your tibia. This can lead to bone spurs, and can lead to the “grinding” down of your bones, which will ultimately make walking a challenge before the age of 50. All these blows to the head can lead to different degenerative brain diseases down the road. Bergeron playing with a punctured lung? He could have died if he had been hit in the wrong place. Again, let me reiterate – I love this sport. I love the intensity, the toughness, and the physicality. I’m not advocating that we change anything about the sport, but it’s an understated issue that could use some awareness. I personally believe that all players are aware of the risks that come from participating in this “culture”. However, I’m not sure that all players willingly participate. Instead, in a situation where a player has the option of sitting or playing, the player will play purely due to peer pressure and the overhead culture. We saw how bad the Derrick Rose situation blew up in the NBA this past season. Rose was cleared to play two weeks before the playoffs after sitting out 11 months in recovering from an ACL injury. Instead of returning, Rose cited that he “didn’t feel comfortable”, and chose to sit and watch as his team was eliminated in the second round. Could you imagine how much grief a player like Sidney Crosby or Alex Ovechkin would get if they were medically cleared by team doctors and chose to sit out a playoff game? The ridicule would be endless amongst the other players. This is the world we live in. This is the sport we love. And unfortunately, this “culture of hockey” is a big reason why we all love it. 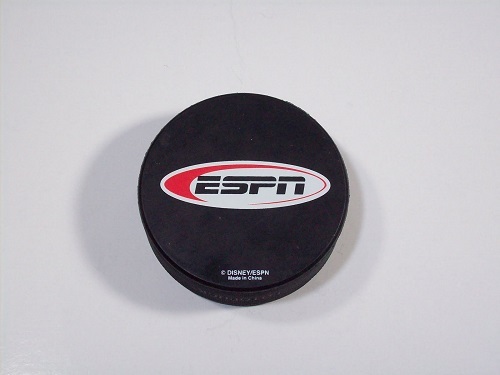 Is the "culture of hockey" good or bad for the sport?